It is time for monkey business! Look how this brown giggler dances between trees! Each liana is like a swing. 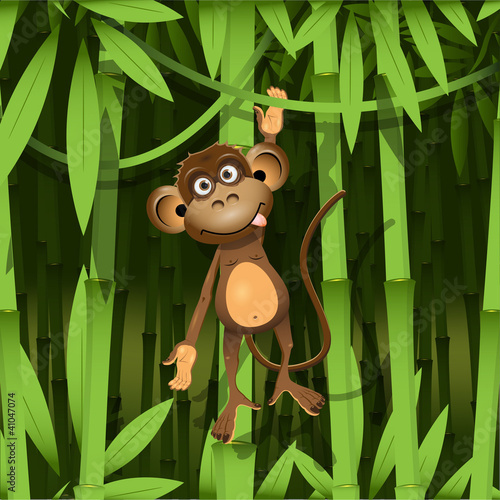 A photo wallpaper depicting a swashbuckling monkey will be a nice addition to a boy’s room. Toned-down colours will not clash with surroundings, and smiling animal will add lightness and some playful mood. It is time for shared fun!